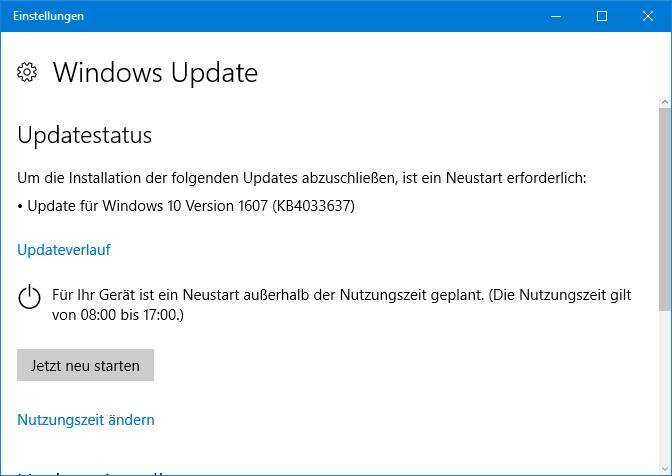 Gerade kam das Update KB 4033637 Windows 10 V1607 keine Ahnung was das wieder ist! Searching the web, I found some mentions of this update in July and August. July 14, 2017: The MS-Answers forum entry Failed to install – over 20 times! What is going on? is the first mention I found. An MVP colleague mentioned, that Update KB4033637 isn’t distributed via Microsoft Update nor via Microsoft Update Catalog. July 25, 2017: In MS-Answers forum somebody started the thread Windows 10 Update KB4033637, asking for the purpose of this update. A MS employee asked, why he asked this question, without giving further details.But it seems to mysterious, that the poster mentioned Windows 10 Version 1703 and says it updated the build to 15063.483. This build is available via Update KB4025342. Within the thread linked above, some other users reporting issues like freezes, missing USB, missing WiFi (OS Build is 14393.1593), slow machines, crashes and so on. July 27, 2017: The MS-Answers forum entry KB4033637 fails to update reported install issue. Another (French) user wrote, that KB4033637 for Windows 10 V1607 hangs at 45 % during download. August 28, 2017: At Bleeping Computer we have a forum entry, also asking, what this update do and why there is no KB article. August 29, 2017: A japanese article also mentions this update. And some people at reddit.com discussing about that update. I have absolutely no details, what this update is for – but wait, there is more, because the update is for real. The update was successfully downloaded and then the installation went through. Then I received a restart notification. After a restart, the VM was a bit slow (but that’s maybe, what I awaited, after reading the comments mentioned above – a kind of placebo). One user posted a screenshot within a forum, indicating an install date 01.01.1601 for this update. I guess, something is broken on his system. My test machine shows an install date 29.8.2017 in Installed updates history. This update isn’t a Servicing Stack update, because KB4033637 can be uninstalled. Windows 10 Anniversary Update (V1607) asked me to check the privacy settings. 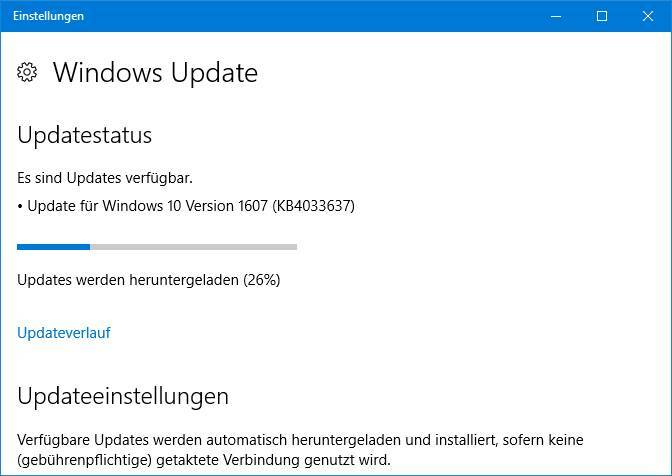 And suddenly Update KB4033637 makes sense and explains, why people has seen this update in July 2017. My guess: Update KB4033637 contains code to show users of Windows 10 Anniversary Update (V1607) the dialog above to check the privacy settings, making the system ready to upgrade to Creators Update. 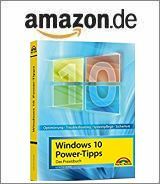 I’ve covered that within my German blog post Windows 10: Datenschutz-Infosplitter … in July 2017. But the update is listed in Windows 10 update history as a security update – so there is more in stack. I inspected Windows subfolder Softwaredistribution\ Download. It’s also possible to visit this page and download the package from July 2017 for an analysis. The folder Downloads contains some empty sub-folders with x86_microsoft-windows-compat-appraiser or windows-a..rience-program-data with it’s names. And I found sub-folders with XML files (BlockingMap.xml) containing IDs from apps or devices not compatible, I guess. compat-appraiser has something to do with checking the compatibility before upgrade. windows-a..rience-program seems to be related to Windows user experience program, and has to do with telemetry. My impression is, that this updates distribute new metadata to improve compatibility check via Compatibility Appraiser. And maybe it updates data to gain telemetry entries. A short discussion may be found at MS Answers forum. So it seems, this update prepares the system for an upgrade to Windows 10 (Fall) Creators Update (V1703 or V1709). [Addendum: At askwoody.com is a discussion, coming to similar conclusion as raised above – but the privacy settings notification seems to bee coincidence. Woody mentioned a tweet, that UAC was changed to notify a user when apps try to make change and also that win defender tried to reset chrome settings.] Unfortunately, as long as Microsoft refuse to document the details, there is room for conspiracy theories. Do you have other/further insights? Feel free to left a comment. This update includes diagnostic and functional improvements for determining the applicability of updates in Windows 10 Version 1607. The files and resources in this update ensure that feature updates are installed seamlessly to improve the reliability and security of Windows 10. Devices will automatically get the update downloaded and installed through Windows Update. So overall it proves most of my theories revealed above. “The update contains bug fixes to the update system to help enable machines to get current, either to a current LCU or upgrade to Creators Update (1703). It doesn’t force it, or change the experience/behavior, it enables more machines to successfully go through the process. It is an Update Stack Package with DTE and Appraiser for RS1. Does anyone know what “an Update Stack Package with DTE and Appraiser for RS1” means (I am assuming RS1 is Redstone 1 aka Win10 Anniversary Update aka Win10 build 1607. Funny thing (and I am still waiting an answer from MS on this): my machines got this KB4033637 but our WSUS did not sync it down from Microsoft! So I don’t know if there is a group policy setting that is somehow allowing my machines (and by extension the machines in our enterprise) to get patches directly from Microsoft. That would not be cool. It’s unbelievable! There are some additional explanations from Mr Brian (thanks for your tips), revealing, what’s changed with Update KB4033637. I would say, we are now reaching the days, where foreign blogs and websites contains earlier far more detailled (and accurate) information about patches, than Microsoft publishes. And this company says ‘Trust us, we know which updates are good for you’. This entry was posted in Update, Windows and tagged KB4033637, Update, Windows 10. Bookmark the permalink. This update reverted my machine from 14393.1613 to 14393.1593, the first time it’s ever gone backwards. It also disabled my keyboard. What happened to KB4039396, that should have updated to build 1670? Actually I started searching for info about KB4033637 because after the previous update I experienced many problems with my system (will not enter sleep mode, takes ages to shut down, does not start up) and after this update it worked fine again! So I was curious to see whether Microsoft would confess that they resolved these rather nasty issues. And look: no info available. No, and one issue at least is still there: computer does not start up properly (black screen with blinking blip). Having problems with my video camera, not working at all for Skype video calls after this update (working properly before update) Camera is just off, but only with Skype. Have followed all Microsoft, Windows 10 & HP support instructions to fix it, without success. Anyone else having same issue? I’ve seen several posts mentions this issue. Currently the solution is: Uninstalling this update and block it’s reinstallation. yes guys. i solved it.